I am so sorry about the lack of updates on this blog. Trust me when I tell you that the last four months for me have been very rough on the personal side. Lots of family drama have kept me away from the computer. 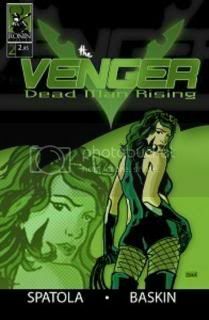 But hopefully thigns are beginning to settle down and I can get right back on track with The Venger: Dead Man Rising. 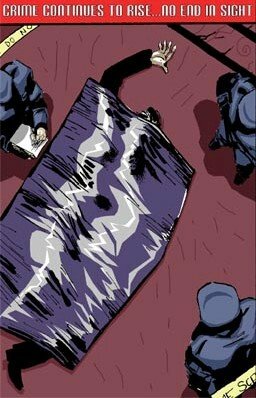 I realize that my last entry promised a big announcment about the title. Well as with everythig that was delayed by my family problems. But now I will have not one but hopefully TWO big announcements to share in the coming weeks. That's right I'm still hedging on sharing them. I need to wait until everything is clear before I can say the big news. In the mean time I will be posting some artwork I have had come in recently. Plus I will also be updating you on the progress of the Venger special- The Venger: Sins and Secrets. This should be available during convention season this summer. Again thanks to everyone who has been supporting the book. 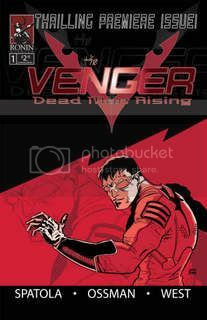 Hang in there guys, this will be the year of The Venger!